How Fast This Garden Grows! I don’t know why, but it still amazes me how fast the garden grows when I’m not there to watch it all weekend! 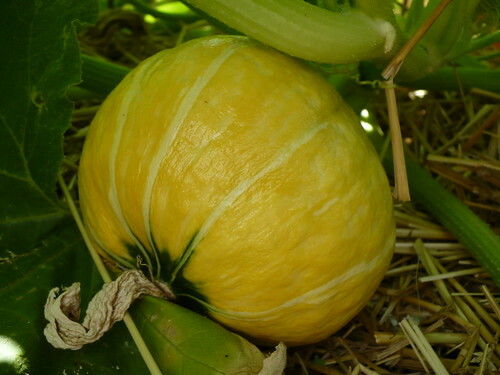 That kabocha squash from last week? At least tripled in size! 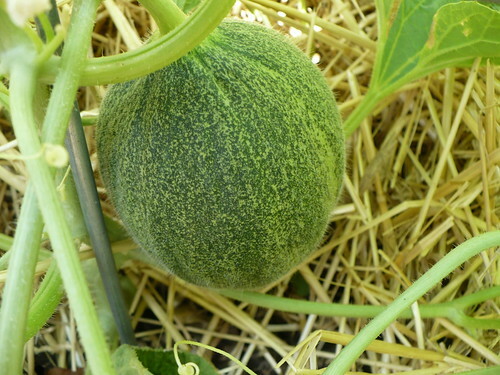 And I have no idea where this Kazakh melon came from! 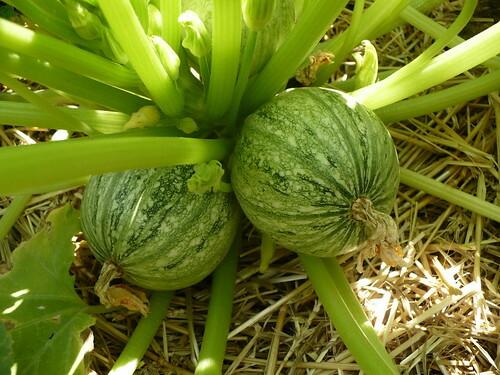 These Ronde de Nice squash are also huge after the weekend! What’s growing well in your garden? 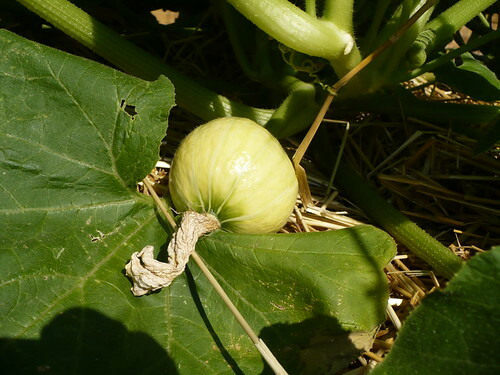 Posted on July 2, 2012, in Around the Garden and tagged melons, squash. Bookmark the permalink. 2 Comments. Tomatoes!!! Already harvested more tomatoes than all of last year!! YUMMY!! No kidding! No tomatoes yet in the Demo Garden, but in our community garden plot, we’ve harvested about 20 roma tomatoes and have dozens more set and ripening. So much better than last year!